I would like to share five items related to the Australian summer, medical doctors’ responsibility, public opinions and an approach to carbon taxation favored by many leading economists. 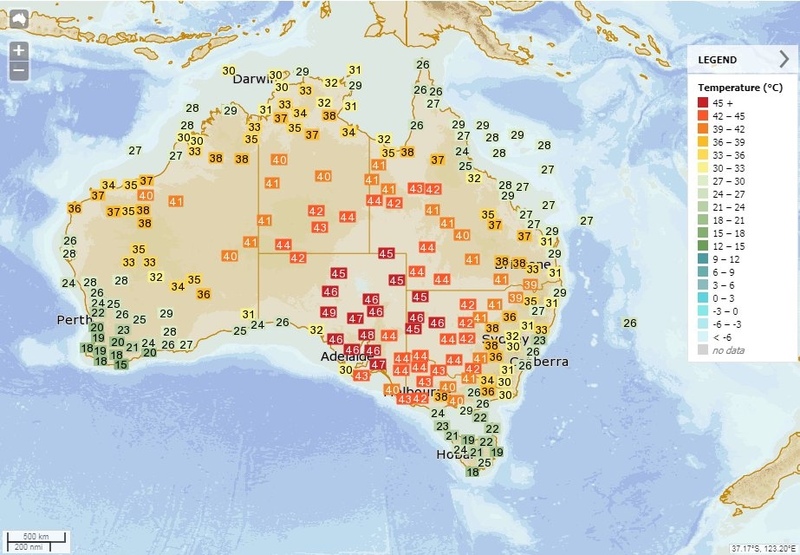 It’s summer in Australia, where temperatures in the town of Adelaide reached 115.9 degrees — the hottest temperature ever recorded for a major Australian city. See Associated Press story. Records were shattered in cities throughout South Australia, as the nation heads toward what could be the hottest January ever for the country. In at least one location, temperatures exceeded 120 degrees F. (49 degrees C.), according to the Bureau of Meteorology. In Tasmania on Friday, the heat wave combined with a prolonged drought left Australia struggling with more than 50 wildfires, and at least two homes were burned down, according to the Sydney Morning Herald.